Do you have any limit of the images I can submit? No way, there can be any amount of the photos - one, five, ten etc. What kind of photos can you retouch? For more information please check the photoshop retouching portfolio of our photo-editors. We'll provide you with the high quality results and with quite сheap retouching. The usual turn around time is about two days since that moment when the photos, all the instructions and the payment have been received. The ETA for the tasks under the restoration and photo manipulation levels of retouching is about 3-5 days. If there is any deadline, please mention it while submitting your order ATTN: Sunday is a rest day. Is there any speedy delivery service? Sure, we offer it - fast delivery service and it gives a possibility to get your edited results quicker. We present two possible terms of delivery within 36 hours with the additional 50% and for the delivery within 24 hours we will charge additional 75% of the total order cost. Don't forget that Sunday is a day off. Can you guarantee the safety of the images? Yes, we can! All the rights reserved. The photos won't be shown up anywhere. Do you present the background removal service? 4) The level of the phot-manipulation with the art-background replacement and the stylization (background should be provided by the customer along with an example of the style) - more you can find out here - the Photo manipulation page. If I'd like to get several variations - how could I do that? Please mention it while submitting the order. Do you offer the output as the layered PSD files? Sure, we offer this kind of service for the post production for photographers. The extra service will be applied then. Please mention it while submitting your order. The price of the order will be doubled. How is it possible to submit the order? 1. First you need to sign up and then log in. 2. The second step is to create the order. 3. As the next step please upload the files. Select the images and click the Start button. If the files size is above 50 Mb - send them to us using Dropbox or another preferable way. 4. Then please Continue and for each uploaded image provide us with the comments or just give the general ones for the whole order and then choose the level of retouch which you need. 5. After that please continue thus you will be able to preview the order cost. 6. 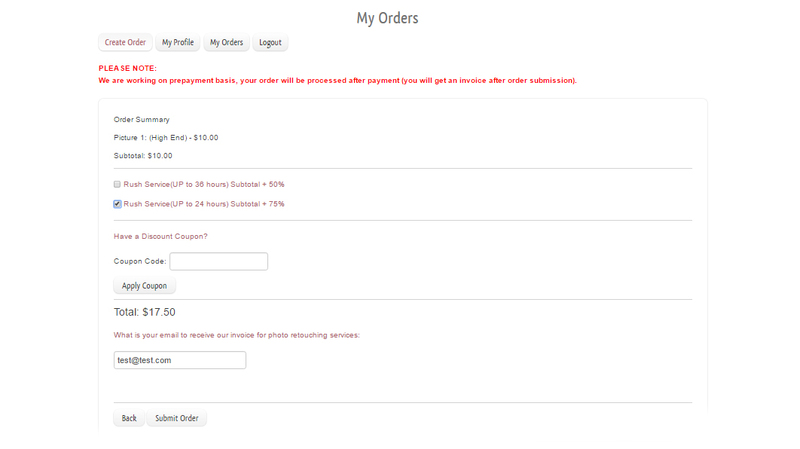 Your order is ready to be submitted and as soon as we see it in our datebase we will send you the invoice for the payment. 7. The usual turn around time is about 48 hours since the moment the payment has been got. Please advise what should I do if the image size is over 50 Mb? 1. Just send it to us using any cloud data storage like Dropbox, WeTransfer, google drive, etc. Additional image - what is it for? The extra pic will give us an idea of the preferable style at the same time it could be an idea of the background if it is implied to be changed or for example of eyes/heads swapping, etc. It won't be charged I've submitted the order - how to make the payment? 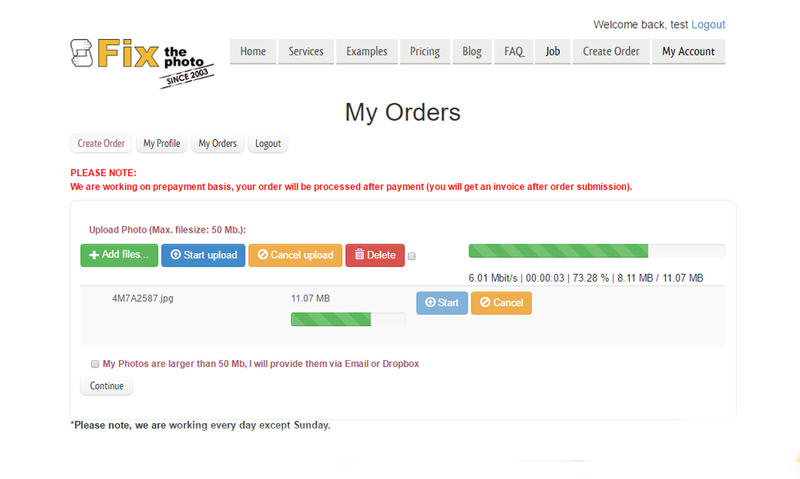 As soon as we get the submitted order in our data base we will send you the invoice for the payment. We work with PayPay. Make the payment using the credit card or via direct PayPal account. If there are some revisions, should I pay extra? If a retoucher hasn't done what was asked for from the very beginning we'll be glad to make the corrections without any additional charge. Do you offer a discount system? You'll get the discount if there is the promo-code also if the total order cost is more than 300 USD we will be glad to give you 15% discount. For our return clients who has been with us more than half a year and have ordered for more than 1500 USD there is discount of 30% for any of your tasks within next six months. If there are RAWs can you work with them? Yes we work with the RAW files. The RAW files will give us the possibility to edit your photos on the higher level and achieve the better results! I'd like to close the account what is the process? Just e-mail us asking for the account closure. Will you demand for copyrights to done pics? That's impossible as the client is just the only one who is the owner. We do just the outsource editing service for our clients! If there are any other questions what's the way to reach you? We will be glad to help you almost 24/7 Just write us on our Facebook page or reach us with the help of our manager using chat-online. 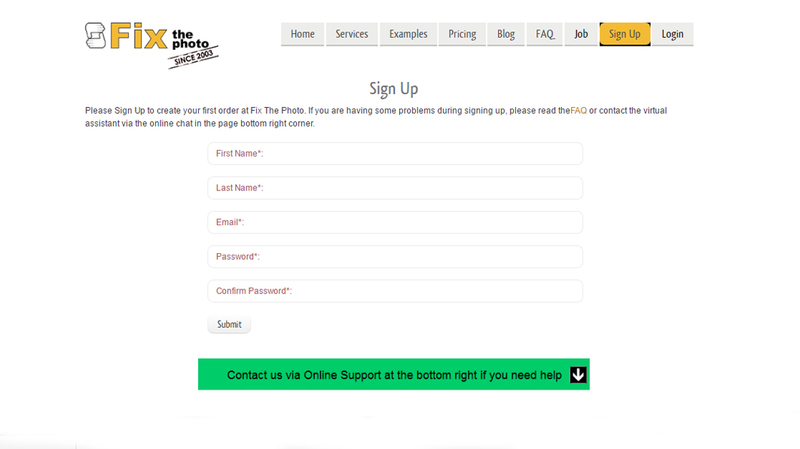 It is always possible to message us using the contact form on our site. Also more about photo post processing service you may find checking out our photo editing blog.